If you’re looking to keep all your personal information under wraps without sacrificing convenience, there are several products out there to help you do that. Our favorite method is simply to protect the thing that holds all your cards anyway—your wallet. 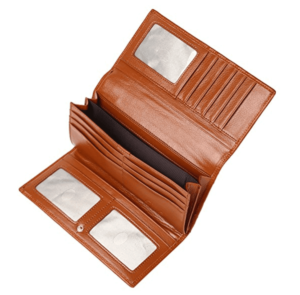 RFID wallets are outfitted with a thin layer of metal mesh stitched between the inner and outer shells of the wallet. This mesh blocks the incoming radio signals before they can get to your information. Several luxury brands have RFID versions of their wallets, but you don’t have to spend much for a decent-looking RFID-blocking wallet. Keep reading to see our favorite RFID wallets, or click on one of the links below to search by style. Each wallet is rated to protect 13.56 MHz RFID chips, which is what you’ll find in most credit cards and passports. Because the same basic technology is found in every RFID-blocking wallet, you just need to find something that matches your personal preference and lifestyle. 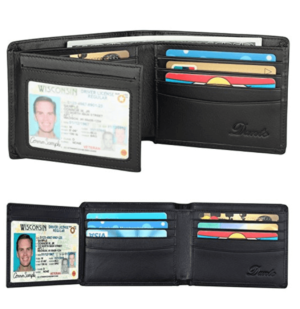 We’ve found the best quality and lowest price in six of the most popular wallet styles so you can make an informed choice. 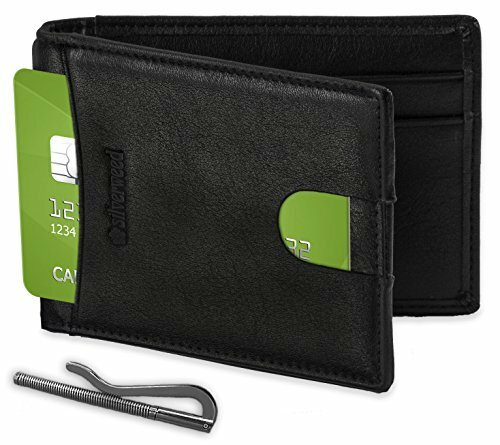 The Kalmore zipper wallet is your go-to if you regularly carry a lot of cards. 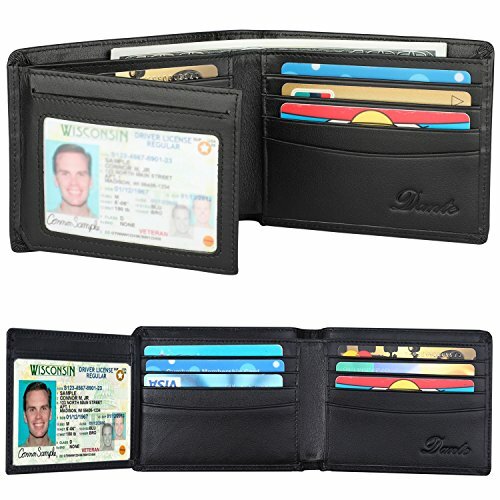 It keeps up to 14 cards organized and safe from skimmers in two zip-up pouches and will fit easily in any bag. 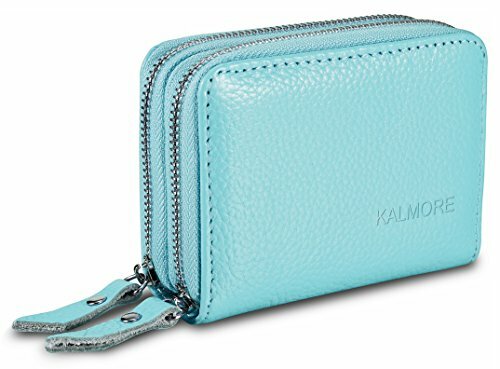 Of the more than 1,000 reviewers on Amazon, only a handful complain that the zipper broke, but Kalmore offers a free replacement or refund for any defective product. Size: 4 x 3 x 1.5 in. If you’re looking for a leather alternative, the Silverweed front pocket wallet is made from vegan materials but looks rich and supple. It can hold up to 15 cards but ideally would be used to carry only the most important ones to maintain its slim profile. There is a removable money clip, but customers note that it’s a bit loose for carrying only a few bills at a time. This is a minor defect, though, and this little wallet will keep your cards and your cash safe in your front or back pocket. Size: 4.3 x 2.9 x 0.3 in. 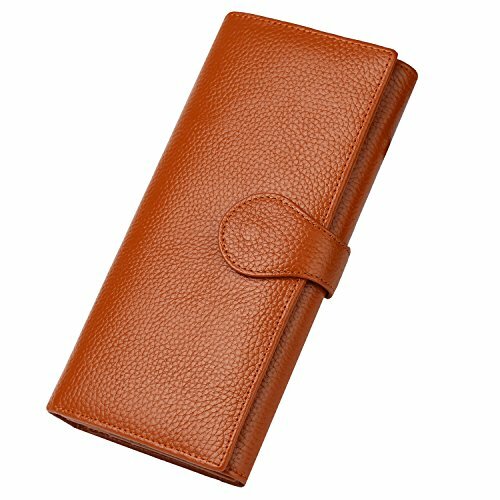 For a timeless classic, check out Dante’s trifold leather wallet, which comes in six different colors. In addition to its 10 card slots, it’s equipped with two clear ID windows and a spot to stash bills. Size: 4.5 x 3.5 x 0.4 in. 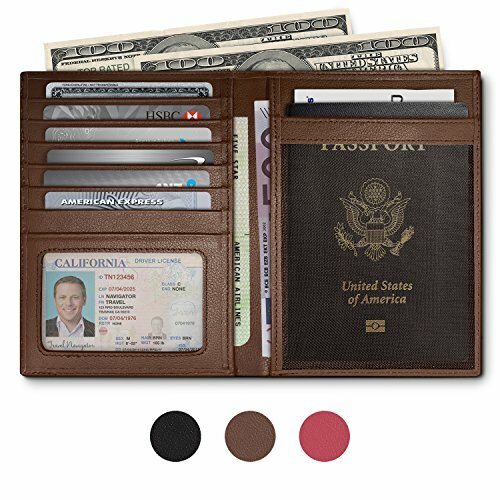 With designated spots for your passport, boarding passes, cards, and cash, the Travel Navigator wallet will keep your documents safe from skimmers and all together in one place. It’s quite a bit larger than the other wallets on this list, so it can’t fit in a pants pocket, but it will easily fit in a bag or jacket pocket. Size: 4.5 x 6 x 1 in. If you don’t need something quite big enough to hold a passport but still want to keep all your stuff in one spot, the Dante clutch wallet has multiple compartments for just that. Available in 11 different colors, it holds up to a 5.5-inch smartphone (about the size of an iPhone 7), 11 cards, cash, coins, a pen, and a checkbook. Size: 7.6 x 3.7 x 0.8 in. F&L Classic’s trucker-style RFID wallet is a must-have for anyone on the road. 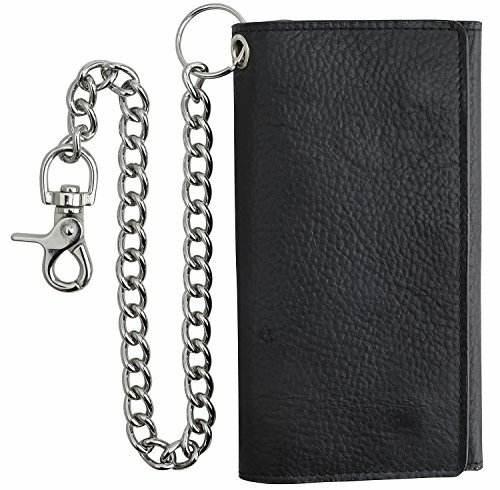 The stainless steel chain ensures it won’t fall out of a pocket or be left behind, and the RFID-blocking material sewn between the leather layers ensures your data’s safety from skimmers. 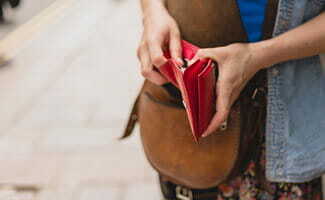 It holds 16 cards, cash, a checkbook, and a cellphone, so you won’t have to search every pocket when you need something. Size: 4 x 7.25 x 0.5 in. RFID—or radio frequency identification—chips have been popular in Europe for a while and are becoming increasingly common in the United States. You can find them in some credit cards, passports, driver’s licenses, ID badges, and other devices. Cards and documents with the chip can give information to an RFID reader device without ever making contact. This touchless technology speeds up transactions, but it also opens up opportunities for new types of crime. Over the past several years, there has been some concern that a person with a portable RFID reader could simply steal or “skim” information from these chips simply by passing a victim on the street. As RFID has moved from use in commercial security to use in consumer transactions, encryption technology has strengthened, and studies have shown that there’s little likelihood of identity theft via RFID skimming. All of these wallets are designed with the same basic RFID-blocking technology. Because each offers the same basic level of protection, your choice really just depends on your personal taste and needs. If you carry only a few cards and minimal cash on a day-to-day basis, go with the classic trifold or the slim vegan front pocket wallet. If you want to keep your cellphone with the rest of your belongings, go with the travel, clutch, or trucker wallet. Each of these is rated highly by customers, high quality, and available at a very affordable price point. Have you used any of these wallets or brands to keep your cards safe from skimmers? Tell us about your experience in the comments.